It is late afternoon when we drive out of Deventer, a town in the Netherlands. The light is still quite beautiful so we decide to take the scenic route home. We drive towards the floodplains of the river IJssel. The sun, now quite low in the sky, reflects beautifully in the river and the flooded pastures surrounding it. 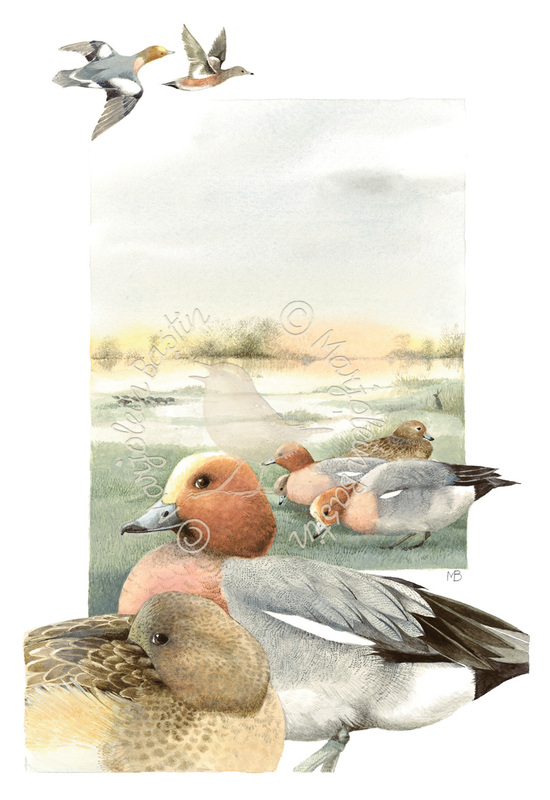 I always bring along some binoculars, you never know… I’m glad I did because hundreds of Wigeons are foraging in the pastures. A short distance further I see some coots and a hare jumping away. 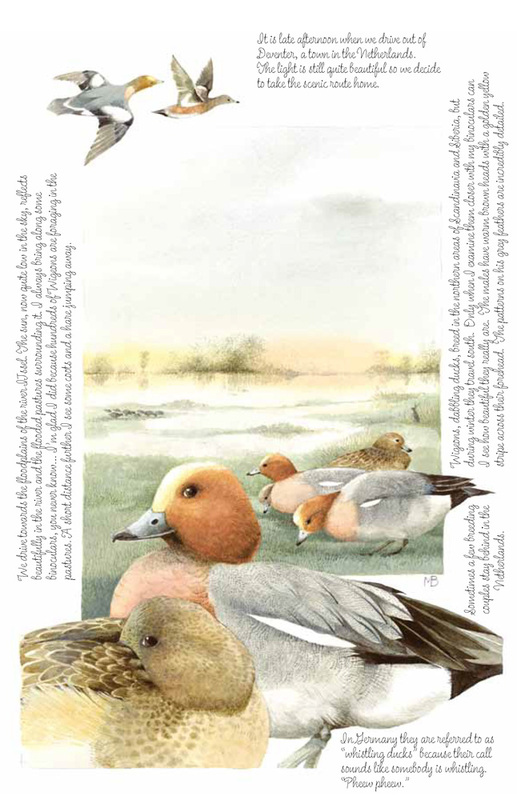 Wigeons, dabbling ducks, breed in the northern areas of Scandinavia and Siberia, but during winter they travel south. Sometimes a few breeding couples stay behind in the Netherlands. Only when I examine them closer with my binoculars can I see how beautiful they really are. The males have warm brown heads with a golden yellow stripe across their forehead. The patterns on his grey feathers is incredibly detailed.